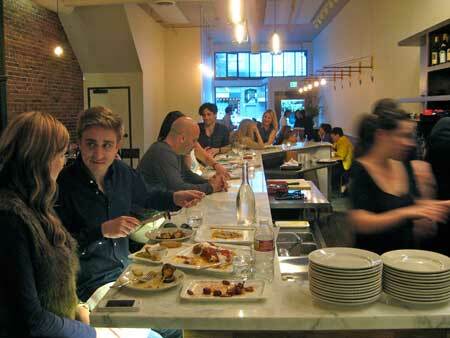 The Turkish restaurant Troya opened in the space vacated by Citizen Cake. Two new restaurants have opened in the neighborhood in recent weeks, and still more are in the works. The owners of Troya, Berk Kinalilar and Brigitte Cullen — who also operate the original Troya restaurant at Clement and Fifth Avenue — are now serving their signature Turkish cuisine in the new Fillmore spot. Their gentle renovation of the space has judiciously warmed the surroundings while retaining some details from the beloved former occupant Vivande, including the red brick wall on the north side of the room, now enlivened by a space-expanding strip of mirrors. The menu includes meze, kebabs and a few larger plates, plus flatbreads ­— “the soul of Turkish cuisine,” according to the owners — prepared onsite by Turkish baker Behiye Golgeci. Pa'ina brings Hawaiian food and music to 1865 Post Street. Down the street, Pa’ina, which means “gathering” in Hawaiian, is now open in a re-imagined space at 1865 Post Street, serving up Asian fusion and Hawaiian cuisine. With a menu heavy on appetizers and small plates and a hearty listing of signature cocktails, the eatery caters to those snacking before and after films at the Sundance Kabuki cinemas next store. 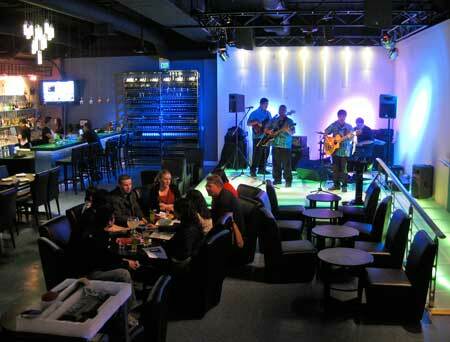 It also aims for the lounge crowd, with a center stage featuring live reggae and Hawaiian music. Farther south in the jazz district, Mayor Ed Lee visited on April 23 to promise continuing city support for the district and announce the impending arrival of four more dining options. Hapa Ramen, a food truck hailed for producing unique pork, chicken and vegetarian noodle bowls using locally sourced, organic ingredients, will make a permanent home at 1527 Fillmore at the end of May. Also in May, Prime Dip will open at 1515 Fillmore, offering hot au jus dippings for sandwiches stuffed with prime rib, lobster, chicken and other offerings. Prime Dip opened its first location on Larkin Street in the Tenderloin last year. Later in the year, the owners of the wildly popular State Bird Provisions at 1529 Fillmore are slated to open a second location called Progress a couple of doors south. And the owners of the casual eatery Fat Angel, at 1740 O’Farrell, have announced plans to open a second site, to be called City Grange, before year’s end.